I am going to give you two versions of the same recipe. One is super easy, but comes partially from a box. One is still easy and gluten free. Completely up to you as to which version you choose. Both are spectacular and impressive. I favor the non-gluten free one slightly, but my kids and husband like them both equally. A few years ago, I started trying out for the Pillsbury Bake-Off, but to be honest, my heart wasn’t in it. How could I encourage people to use their heavily processed, suspect-ingredient products? So, I quit. But the one recipe that I really liked from my efforts was a very simple, but impressive brownie dish. My kids love coconut and my husband thinks he hates it. As he’s diabetic, this was a win-win for me. I taint my baked goods with coconut and he avoids them. No guilt about him “missing out” on things I make because frankly, he thought he didn’t like it. So, I make my brownies. I make a brownie batter from a box of brownie mix that’s suitable for a 9 x 13 pan. I place half the batter in the bottom of an 8 x 8 pan. I then in a separate container mix together coconut, sweetened condensed milk, melted white chocolate and almond extract. I layer the coconut mixture on the bottom brownie layer and top with the remaining brownie mix. Done. When you cut it, the layers were completely intact and the dessert was really impressive. He couldn’t resist and tried the brownie, despite the presence of the accursed coconut. Turns out, he likes coconut. Now, he’s ordering items like curry with coconut milk in it everywhere. Apparently, he doesn’t like the artificial coconut taste. 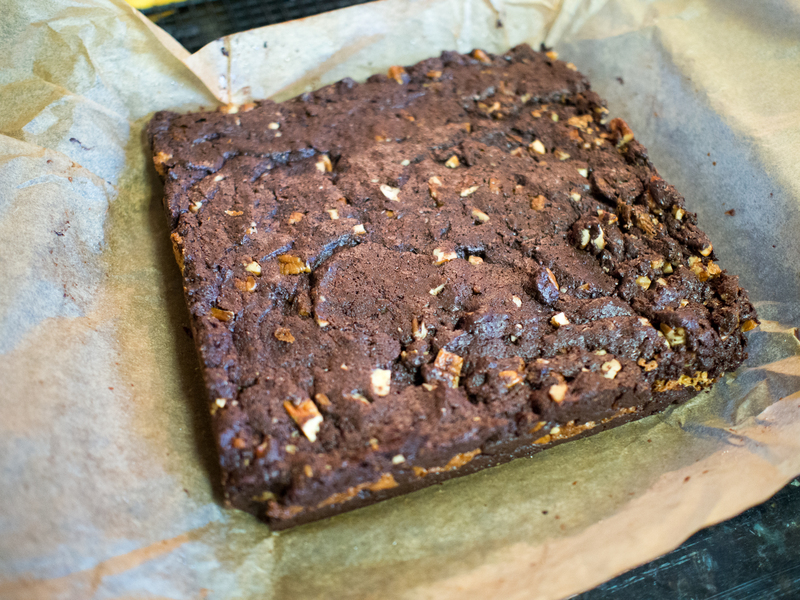 So, I haven’t made these brownies for a while. Last weekend, my neighbor Sherron made some great cookies for a photoshoot that she shared with me. She eats a gluten free diet. I don’t really get to give her that many baked items because of it. Gluten free is scary to me. Gluten is a really important chemical to baked goods and whenever I have something gluten free, it tastes “off”. So, I scoured the internet for brownie recipes that are gluten free and came across one by Martha Stewart using corn starch instead of flour. I’ve made a cornstarch cake before and it was passable, albeit not great. So, my hopes were low for this recipe. However, my low hopes were tempered by the really good reviews. 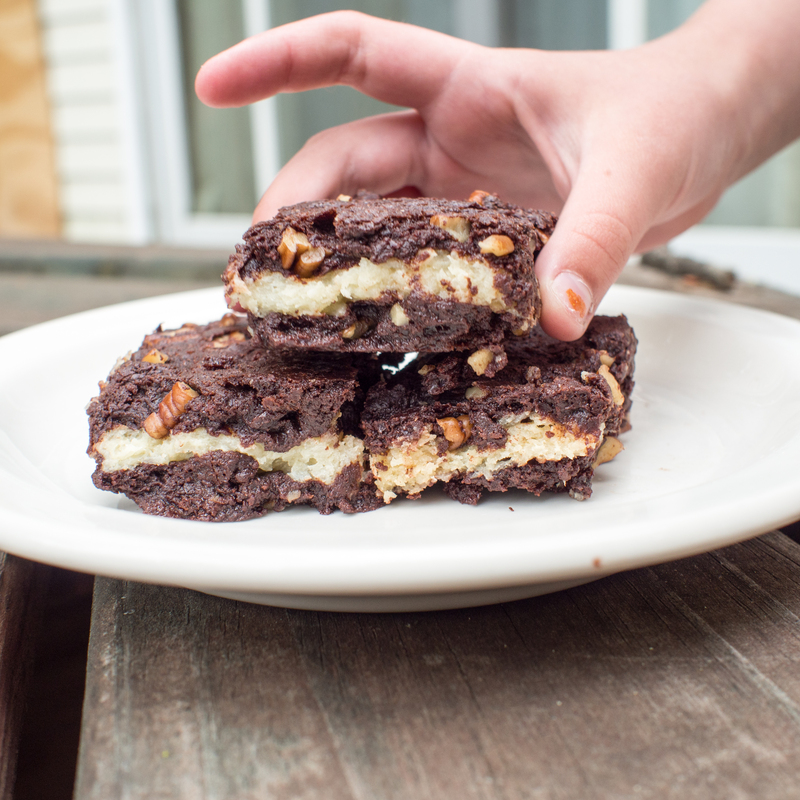 I call them brownie joys because they are very similar to my Joys recipe, but in Brownie Form. If you want to make the easy, gluten version, make the brownies per the directions on the box, and follow the Coconut Layer instructions below. 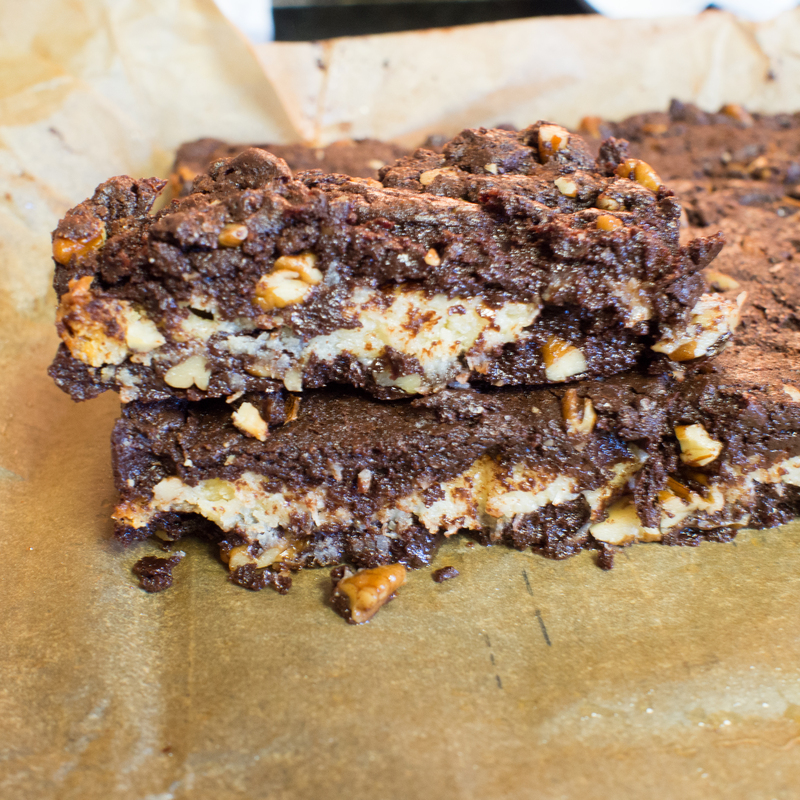 Layer in an 8×8 pan and bake. Done. And trust me, people will think you are pure genius. 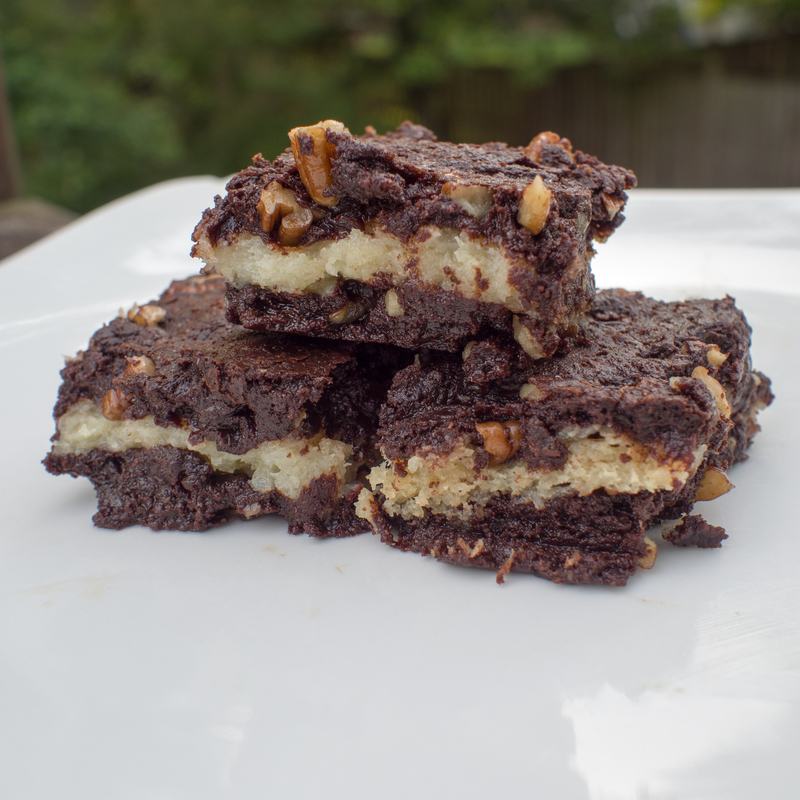 Adapted from Martha Stewart’s Gluten Free Brownies. Butter an 8×8 square baking pan and line with parchment paper so that there is some overhang on the pan. 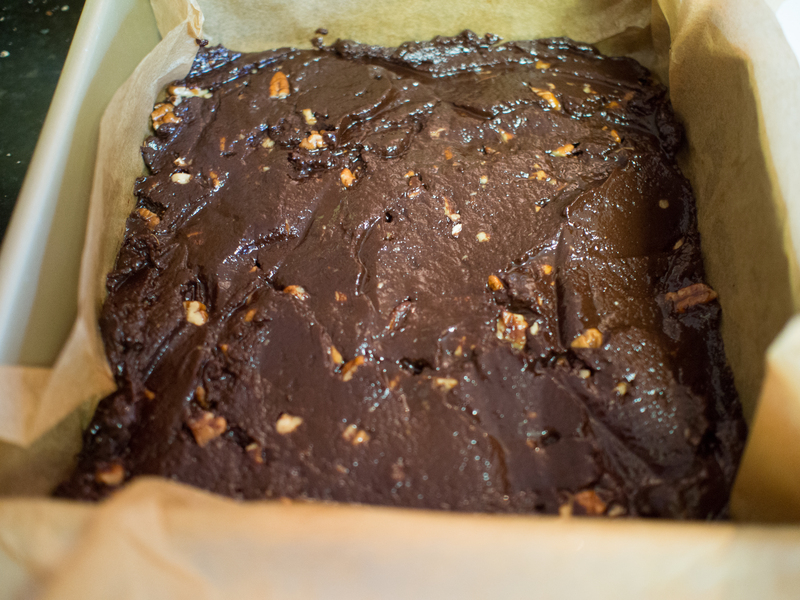 The purpose of this is to allow for easy removal of the brownies after cooling. Whisk together cornstarch, cocoa and salt. Set aside. In a large, microwave safe bowl, add the chocolate chips and butter and melt over low heat, checking and stirring frequently until thoroughly combined. 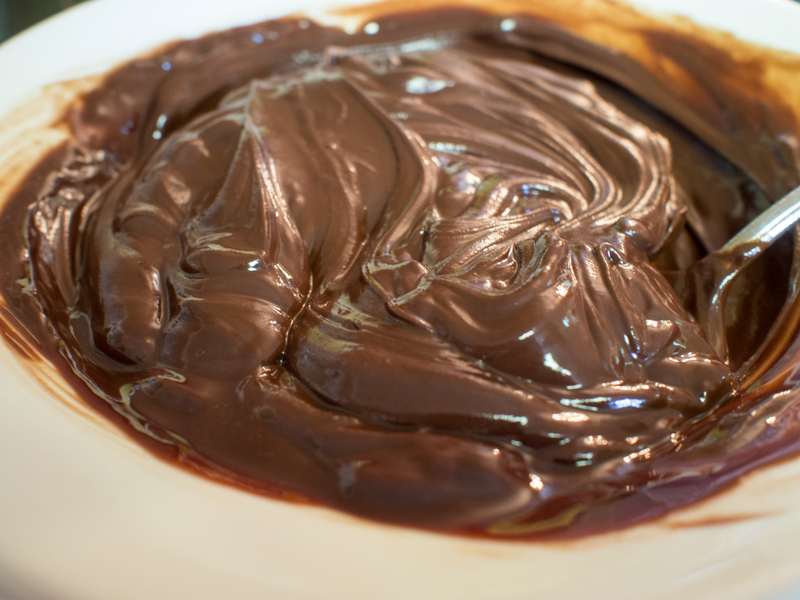 The mixture will look like lush, glossy, thick chocolate. Try not to eat. Stir in sugar and vanilla. The chocolate will look gritty and rather unappealing at this stage. Add the eggs and stir until combined. 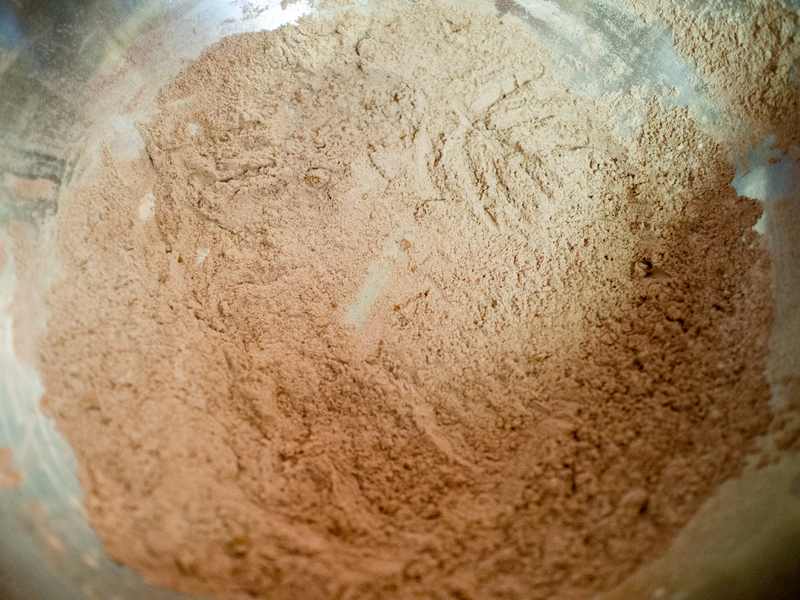 Add the chocolate mixture to the cornstarch mixture and stir vigorously until you notice the mixture coming together and pulling away from the bowl. I noticed this within about a minute. Add nuts and stir. 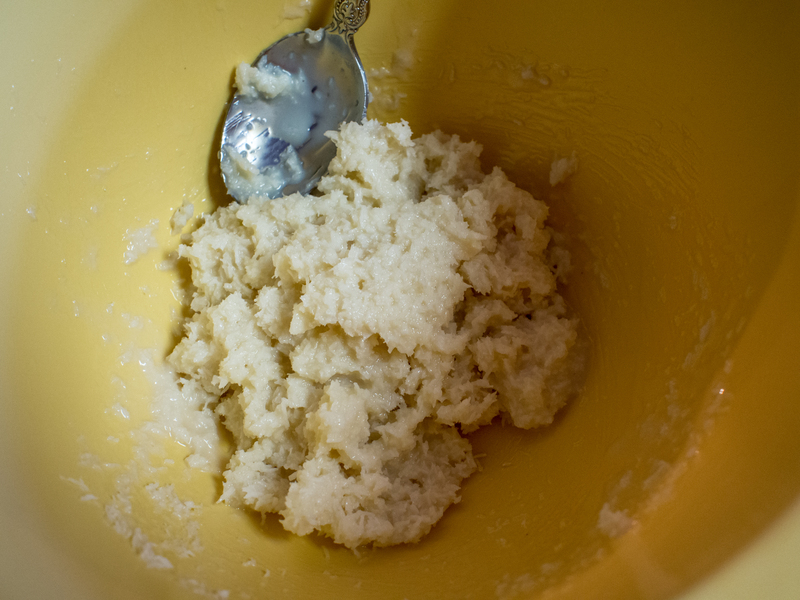 In a small mixing bowl, combine the milk, the coconut, the white chocolate and the almond extract and stir. Divide the brownie mix in half. 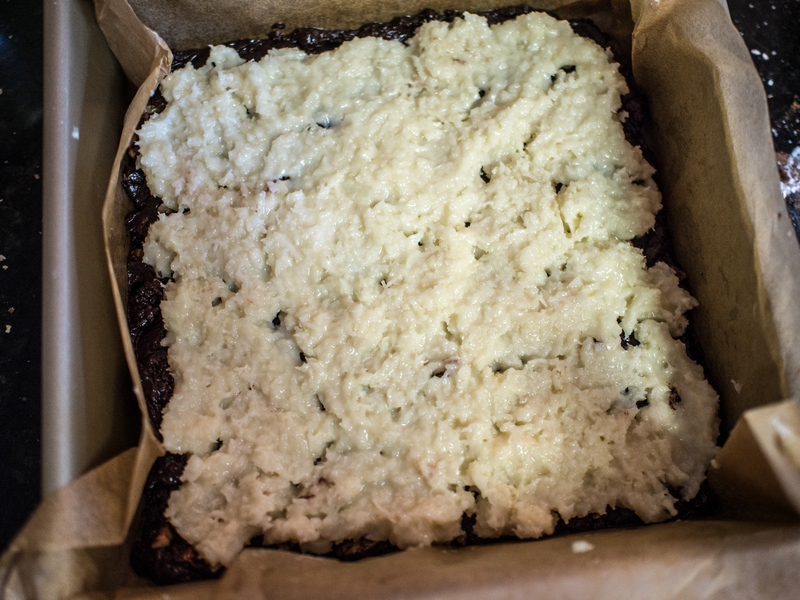 Add half the brownie mixture to the brownie pan, top with the coconut layer, then finish the remaining brownie mixture. Place pan in the oven and cook for about 35 minutes. The clean toothpick test will work on the brown parts, not the coconut parts. 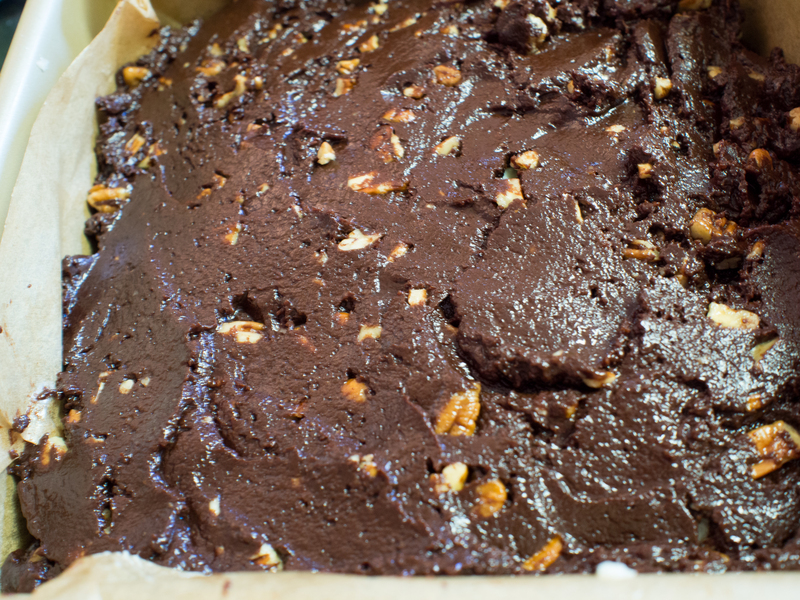 This brownie needs to cool all the way. It’s also best to sit over night. Don’t get me wrong, it will taste great out of the oven, but without gluten it can be a little greasy without enough time to rest. For a perfect fudgy brownie that is exactly like it’s gluten counterpart, wait a day. Seriously, don’t you just want to eat that? 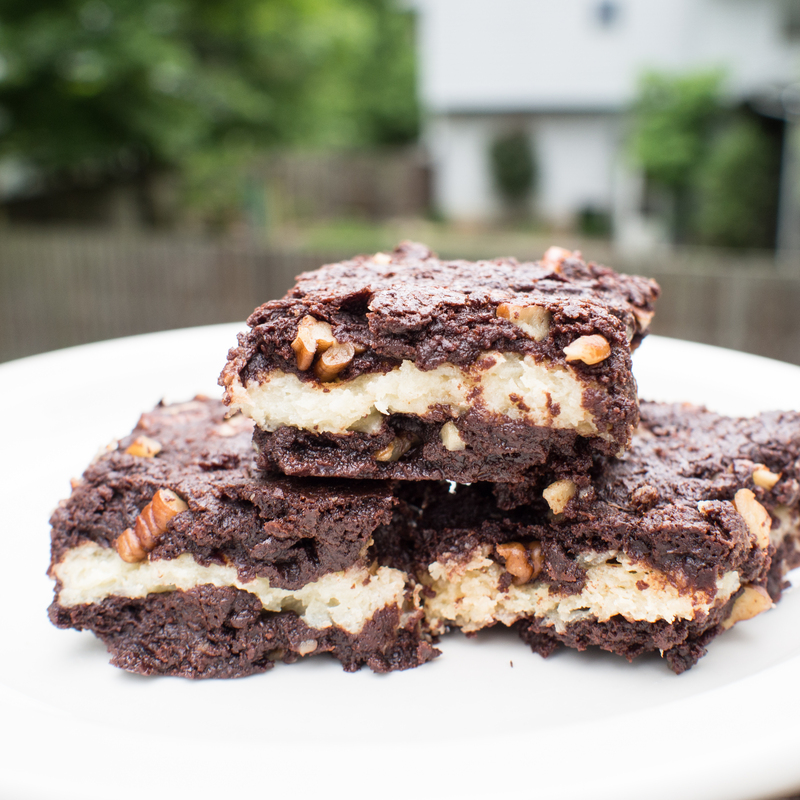 This entry was posted in Dessert, Gluten Free and tagged brownie, coconut, Cornstarch, dark chocolate, Gluten Free, Martha Stewart, Pillsbury Bake-Off, white chocolate on May 18, 2013 by dawn of food.